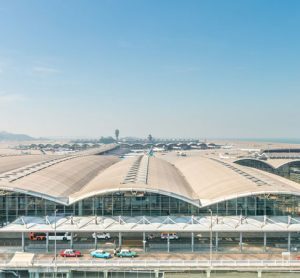 As one of Europe’s largest airports, handling 24.8 million passengers and 536,000 tonnes of cargo each year, Brussels Airport is an important hub; linking the European capital with 238 destinations worldwide. The airport’s strategy places the customer at the centre of everything. Whether it’s serving passengers, companies, suppliers or partners, the airport strives to provide a seamless service. With a growing number of passengers and cargo volumes each year, and to guarantee the best customer service possible, it is crucial to optimise overall operational efficiency 24/7. 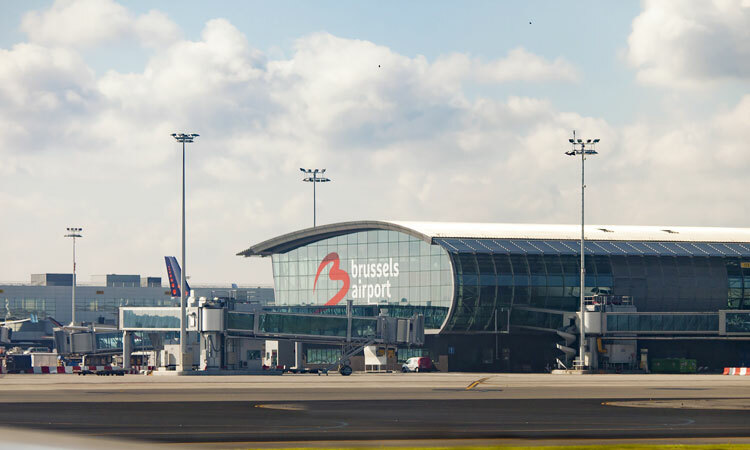 When Brussels Airport became the second European airport to introduce airport collaborative decision making (A-CDM), for which it was certified in 2010, all players involved soon realised that their cooperation could be further optimised by centralising and sharing airport big data and being physically in one place. In 2015, Brussels Airport took things a step further and introduced the Airport Operations Centre (APOC) to act as the airport’s operational nerve centre – a place where all main airport operations are centralised. All partners at the airport have the same objective; to optimise operations and guarantee passengers the maximum degree of punctuality. Being together physically at one location facilitates communication, while problem situations can be anticipated better and information more efficiently shared. This innovative way of working increases the efficiency of operations at the airport, which ultimately benefits the passenger experience. Walking into APOC, one immediately notices the gigantic video wall installed in the main room. This wall is more than 10m long and includes 14 screens with full HD rear projection. This technological masterpiece was created in Belgium and displays the most important information on airport processes; allowing an overview of all operations to be maintained. The common Airport Operational Database was further developed to improve data exchange and operational metrics regarding aircrafts, passengers and luggage. In APOC, we find all the airport’s key players involved in managing passenger, aircraft and baggage processes. Among them, there’s the home carrier Brussels Airlines, baggage handling companies Aviapartner and Swissport, security companies G4S and ICTS, air traffic control provider Belgocontrol, Axxicom who provide assistance to persons with reduced mobility, the federal police, and various services of Brussels Airport Company including security, stand and gate allocation, airside inspection, passenger services and technical services. In total, 140 people work at the APOC. All of these partners constantly have a clear and uniform view of passenger fl ow at the airport, the position of the aircraft on the tarmac, and of the handling processes for departing, arriving and connecting baggage. Based on the information collected, they collectively take the necessary decisions. In this way, smooth and proactive communication with the companies and services concerned is guaranteed. Soon after its inauguration, APOC became an essential service at Brussels Airport. The closeness of APOC teams and the centralisation of services have proved their worth and convinced the various stakeholders to continue along this path. In general, airport processes have benefited from improved coordination and Brussels Airport can more readily anticipate different scenarios. At the same time, APOC enables different partners to respond more agilely when faced with changes in daily operations, as information is rapidly available to all and centralised decisions can be made quickly around the table with all stakeholders involved. For example, when a flight is late, some connecting passengers are likely to miss their onward flight. All teams within APOC are directly aware of the situation before it happens and proactively warn the relevant stakeholders, such as airlines, which allows the airport to contribute to the improvement of the passenger experience. Operational effectiveness has greatly improved following the implementation and Brussels Airport has benefited, in particular, from a higher punctuality of aircraft and operations, thanks to the better responsiveness. All processes relating to passengers, baggage and aircraft now run much more smoothly thanks to the centralisation of operational services. Finally, APOC has a distinct added value in crisis situations. 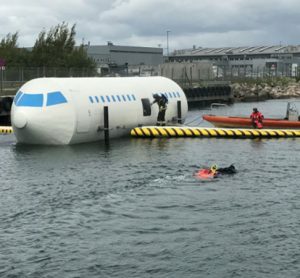 When a crisis inside the airport emerges – or outside but with impact on the airport – all stakeholders assess the situation together on the spot. A coordinated action and communication plan is rolled out, with the specific goals to keep operations running and to help passengers. 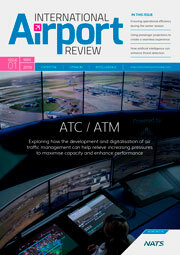 The implementation of a new platform like APOC has initiated a new way of working within the airport community. Operational teams from various partners have moved to a different working environment and are now physically under one roof. It required a new collaboration model with focus on CDM. 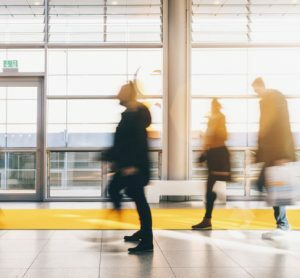 Employees are not only surrounded by colleagues from their own company, but also by people working for other companies, who are sometimes even direct competitors. Each company has its own habits and work culture, just like every employee. Another concern to be tackled is the sharing of confidential information, an essential element for the proper functioning of airport operations. All employees were able to experience the fact that the collective interest took precedence over the individual interests of each company, resulting in better cooperation between the different APOC players to the benefit of all passengers. Behaviours have evolved, thanks in particular to the closeness of the teams from the various partners and the meetings they hold twice a day. In order to better manage these differences, the employees have defined certain rules of conduct and agreements themselves. During various training sessions on the Airport Operations Centre, special attention has been given to those values and rules of conduct that employees consider important for their new workplace. The main elements are: a positive attitude, order and cleanliness, effective communication and information sharing. Thanks to this, a dynamic team spirit has gradually developed within APOC, contributing to its efficiency and its current added value, while preserving the identity of each APOC company. APOC is now an integral part of the airport landscape at Brussels Airport and is universally accepted. This fundamental work has been supported since January 2018 by the presence of APOC managers. Their role is primarily to coordinate this cooperation, to facilitate communication between the different APOC players and to allow the rapid resolution of unexpected problems. They are also the point of contact for all other non-APOC airport stakeholders, like most airlines for example. In addition, a new software package, the Airport Operations Plan (AOP), will soon be implemented. This plan, supported by the latest generation software, will provide access to centralised information that is common to all active players in APOC and features a predictive module. AOP will enable the teams to anticipate future situations and thus resolve or even avoid problems in a much more proactive way. This AOP is also a monitoring tool that is updated in real-time according to developments in the field. 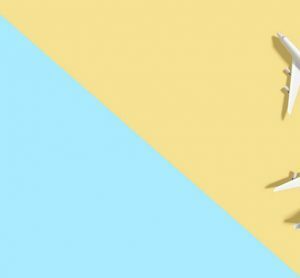 With this tool, Brussels Airport is taking a leading role in the interoperability of the European air traffic management network. The AOP will be implemented gradually, module by module, in order to make the AOP fully operational by 2021. 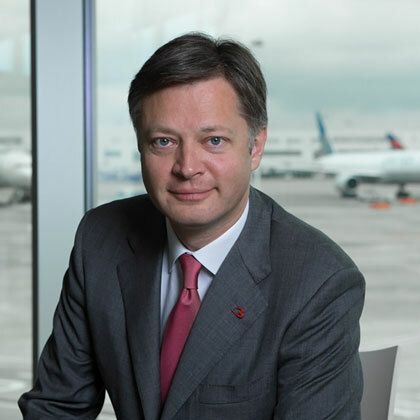 Arnaud Feist has been Chief Executive Officer of Brussels Airport Company since 2010. In 2005, he joined the company as Chief Financial Officer shortly after the privatisation of the airport. Prior to that, Arnaud held several management positions in Finance, M&A and IT, before becoming Vice-President Finance & ICT for the European division. From June 2013 to June 2015, Arnaud was Chairman of the Board of ACI Europe. He has been a board member since 2011 and a member of the executive committee since 2013. He has also been a member of the governing board and of the executive committee of ACI World since then. Arnaud is a member of the Strategic Committee of the Belgian business federation (FEB/VOB), of the Board of Directors of VOKA, the Flemish network of enterprises and of BECI, the Chamber of Commerce and Industry of Brussels. He holds a Commercial Engineering degree from Solvay Business School and a master in tax law from the ULB.